You are here: Home / Main Dishes - Beef / Get Ready To Make Shish Kabobs! 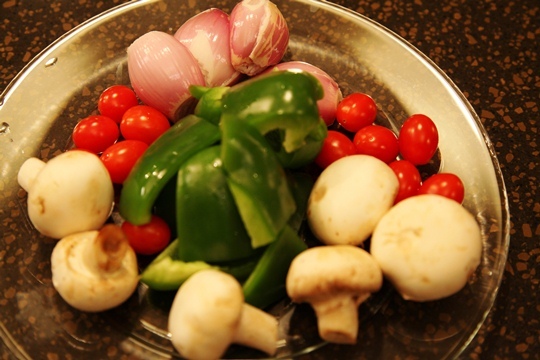 Get Ready To Make Shish Kabobs! Get Out The Grill and Have Some Shish Kabob Fun! 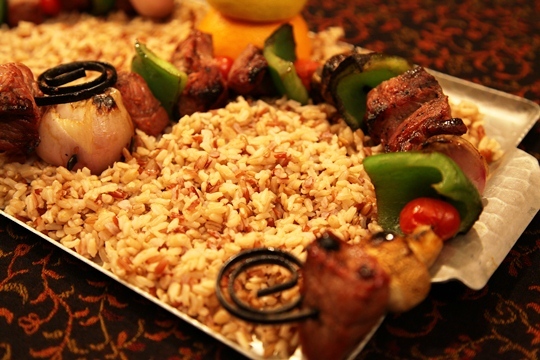 Shish Kabobs are absolutely perfect for EASY Entertaining or a special family meal! Shish Kabobs are so versatile… you can use beef ( as I have done here ), or chicken or pork tenderloin. You can even mix it up and use a combination of all three! 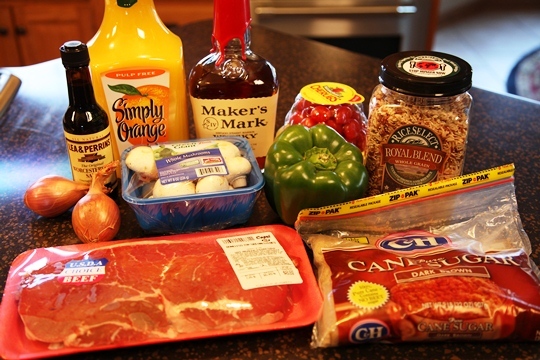 The marinade for my Shish Kabobs will work on any of the meats you choose. 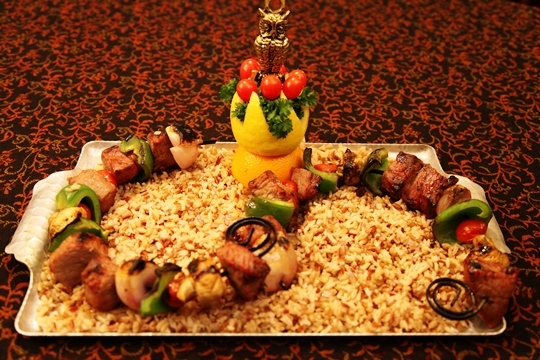 Another great feature of Shish Kabobs it that they can be prepared in advance and then grilled after your guests arrive. And, because the Shish Kabob has small pieces of meat and vegetables on the skewer – the grilling time is only about 10 minutes. 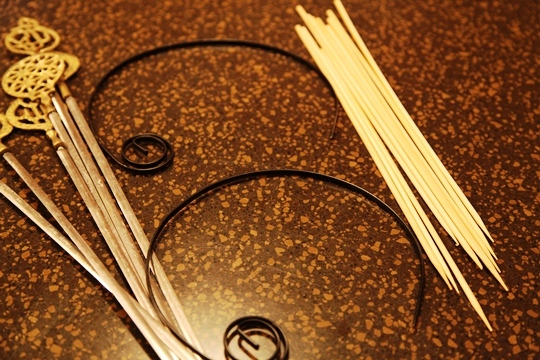 I used the circular skewers for these kabobs. 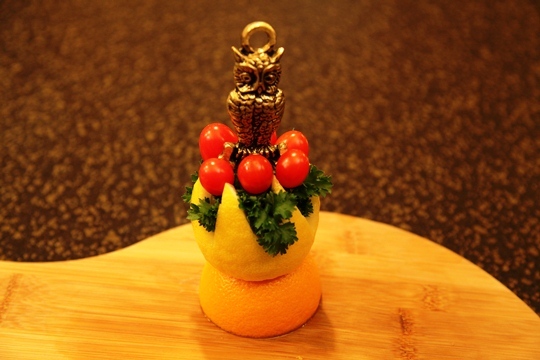 Also — Be sure to check out my Success Secret and photos on how to make the cute citrus topiary that I made to garnish the platter of Shish Kabobs. 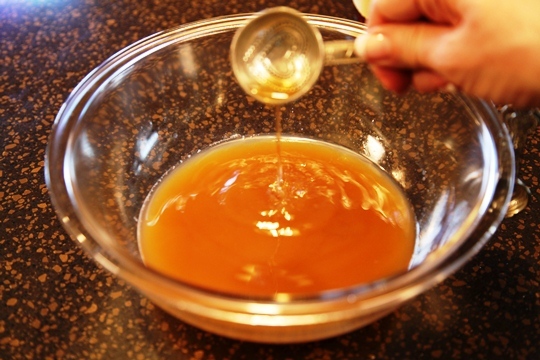 Mix Worcestershire sauce, brown sugar, Bourbon and orange juice together. Reserve 1 cup of the marinade to baste the kabobs as they grill. Cut meat into chunks. 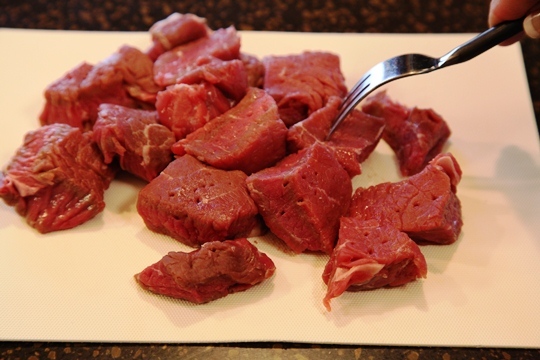 Use a fork to poke holes in the meat to help the marinade tenderize and flavor the meat. 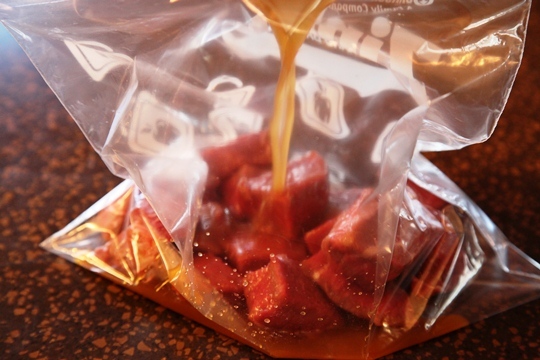 Place meat into large zip lock bag and pour the remaining marinade over the meat. 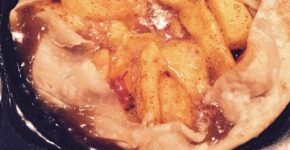 Let marinate in the refrigerator for several hours. Thread the meat and vegetables onto the skewers. Grill about 5 minutes on each side, or until the meat is done. Combine the Worcestershire sauce, brown sugar, bourbon and orange juice. Cut the meat into chunks. I use kitchen scissors to make this job quick and easy. 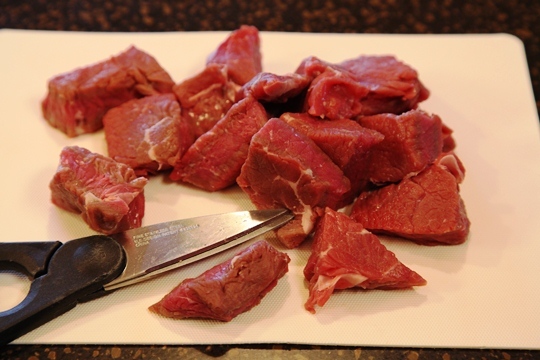 Use a fork to poke holes in the meat so the marinade will tenderize and flavor the meat. Place the meat into a large heavy-duty zip lock bag. 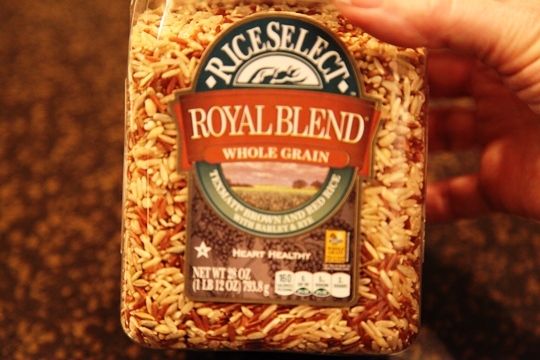 Reserve 1 cup of the marinade for basting the kabobs as they grill. Pour the remaining marinade over the meat. 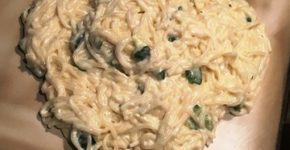 Seal and place in the refrigerator for several hours. Prepare the vegetables for the kabobs. Grill for about 5 minutes on each side. 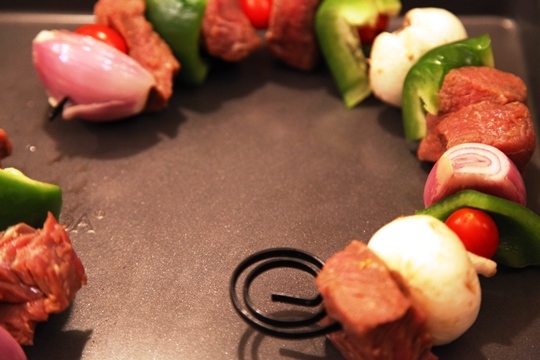 You may want to enjoy a great bottle of red wine with the Beef Kabobs. .
Vickie’s Shish Kabobs were featured on Fooderific!